Scuba diving holidays are always exciting and there are a variety to choose from. Diving the the Pacific is the stuff of dreams and every diver owes it to themselves to see the simply spectacular sights that await underwater at least once. This is a remote region, with most of the best dive sites being only truly accessible from the purpose built premier live-a-boards that Scuba Travel work with. Yet it is this isolation that makes the area so magical. More than worth the journey, diving in the Pacific is like diving in a land that man forgot. Here you can find almost every marine creature you have ever dreamed of… and then some. From the tiniest macro life right to the great schooling hammerheads, whale-sharks and unending herds of white tips, something new and breath taking can be found on each and every dive. And with such a rich and diverse marine ecology to explore, you will not want to come home. On one side of the Pacific region sits the Galapagos and Cocos with Fiji, Palau, Papua New Guinea and Truk on the other. These are the destinations of diving folklore. The Galapagos is world famous, known for its shark population, sea lions and manta. Sailing out to Wolf and Darwin brings you face to face with species both on land and underwater that cannot be found anywhere else on the planet. Fiji and Papua are no less impressive. Sharks still venture to their sea mounts but the rich corals and huge biodiversity rival anything else you can find underwater. Truk lagoon is a special place where wreck diving meets rich marine life. Dive onto the Japanese fleet that met its end in the lagoon, smothered in draping corals. Go beyond all expectations in the Pacific and let yourself experience the diving delights that make these destinations stand out. 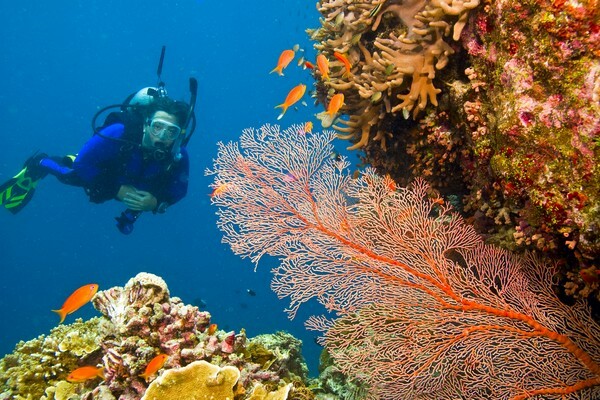 Want to Scuba Dive Abroad?